Today we’re very sad to say goodbye to another one of our fantastic Part 1s, Marah has finished her part 1 placement before she returns to Strathclyde University to continue her Diploma. Marah has been an invaluable part of Collective for the past year, working on a number of high profile projects within the office and generally being an all round superstar. We wish her success in her studies and look forward to seeing her 4th year work. 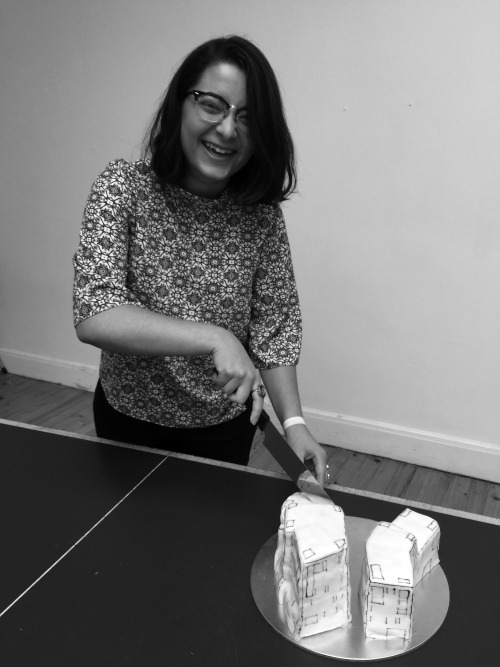 In true Collective tradition, Marah continued this summer’s architectural cake frenzy with an edible replica of a housing project she’s been working on.